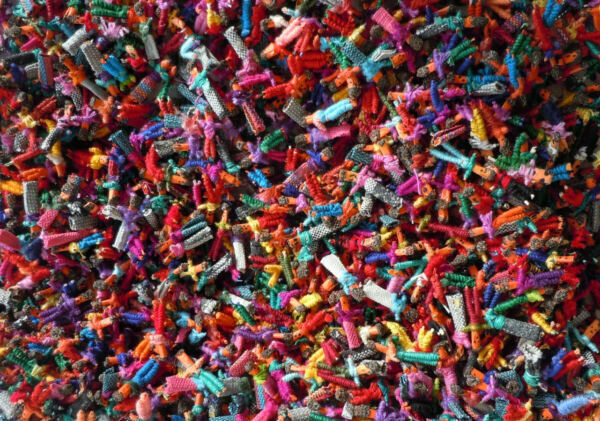 This is for ONE bag of about 140 mini worry dolls (give or take a few). Each doll measures about .5 - 1" tall. Hand made imported from Guatemala. The pictures above are an example of the dolls - colors & designs will vary. 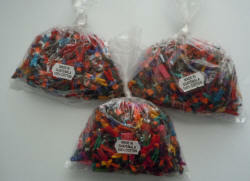 Also inside each bag is a a note "Guatemalan Worry Dolls. According to legend Guatemalan children tell one worry to each doll when they go to bed at night and place the dolls under their pillow. In the morning the dolls have taken their worries away." 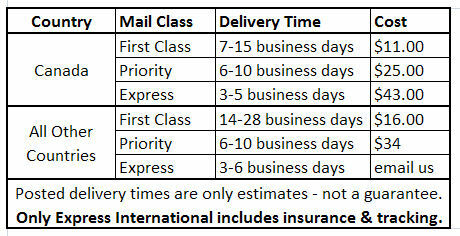 Shipping is free for USPS First Class Mail within the US. Faster options available - email us for a quote. All items are well protected and usually ship within one business day. If there's any delay in our shipping policy it will be posted here. We only accept credit card/debit card payments through Paypal. Payment must be received within 10 days or it will be re-listed. US funds only. Please include the item number and shipping address WITH your payment. After the auction Ebay will automatically send you an invoice with our payment options. Paypal users can simply complete checkout from the original auction page instead of waiting for the email. We offer discounted S&H rates on additional purchases for both US and international customers. Discounts vary - US customer's rates are calculated by starting with the most expensive rate and taking 50% off the rates on each additional item. International combined S&H fees are usually more expensive. Please email us after you're done winning with all the auction numbers and your mailing address and we'll calculate the discounted rates then send you a new invoice. You're also welcome to contact us with the item numbers BEFORE you bid to confirm combined S&H costs. In order to receive discounted S&H rates on additional items, all items must be paid for with ONE payment & ship in one package. Please note only software & books can be shipped via Media Mail - combining software & books with something else may not result in reduced S&H rates. Click on the link below to view our other auctions. If you have any questions or concerns, please contact us through Ebay using the "ask a questions" link near the bottom of this page. All questions are usually responded to within 1 business day. Click here for more information.